Detail package will reflect amount of services scheduled. When you face an urgent event in your home or business you need help and you need it now. From a flood with water damage, fire damage, a sewage spill to finding mold in your home or business, we can help. With over 33 years in business in Metro Detroit, MI, Speed Clean Services is here to help 24/7 to get your home or business restored…and to put you at ease. Speed Clean Services knows there is more to water damage than meets the eye. On the surface one may think that their water damage is confined to some wet carpet and a few furnishings. What most people do not realize is that when water damage occurs, water travels quickly absorbing into and traveling underneath walls spreading from one room to another. When left untreated or improperly treated, water damages can lead to secondary problems. Drywall can disintegrate, wood can warp or rot, electrical problems may occur, mold and mildew can grow. Speed Clean Services provides total risk management for any traumatic situation, such as homicides, suicides, drug overdoses, etc. It is because of our professional and compassionate approach that Speed Clean Services is quickly becoming the leader in this field of crime scene clean-up. When the passing involves a crime it adds trauma to the family’s grief. A crime scene clean-up company deals with grieving families, and understands how traumatic this time is. Our representatives are caring and very professional. Our technicians will come in and perform the cleaning while being compassionate, courteous, and discreet. Speed Clean Services has extensive experience in sewage-related losses. Sewage losses pose health, safety, and liability concerns. Following the IICRC S500 standard, which outlines procedures for remediation back-flows, we work quickly to restore property and contents back to their pre-loss condition. Without proper remediation, mold can surface in less than 48 hours. Hoarding Clean Up is one of the more unique services Speed Clean offers. More than just a filthy house cleaning service, we help deal with the serious issue of hoarding by offering property clean up, trash clean up, odor removal, sanitation and disinfections, pet urine removal and more. If you or someone you know is a hoarder looking to turn over a new leaf, the compassionate and experienced professionals of Speed Clean Services will work with you to clean your home and help return you to a more manageable lifestyle. Acts of vandalism can destroy the appearance, as well as the integrity of a structure, and affect the entire neighborhood. But there is no need to succumb to vandals—most insurance policies do cover acts of vandalism, allowing for repairs and restorations necessary to bring the property to its pre-loss condition. From the first call we are actively working on your behalf helping walk you through the whole process. 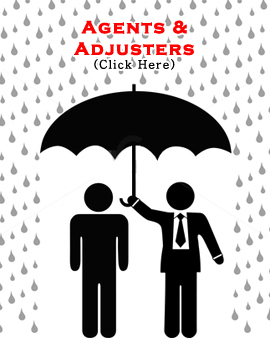 Whether it is inspecting the damage, helping you make the initial call to your insurance company, meeting your insurance claims adjuster, planning the repair schedule, or actively carrying out the approved and necessary repairs we are with you every step of the way – maximizing the best possible value for home or business.